Here’s the background: An 81-year-old woman, who is believed to have suffered a stroke, is taken to the hospital on August 12, 2006. She’s evaluated by a hospitalist, a plan of care is determined, and she is admitted for further testing. A CT scan is performed, which comes back negative for a stroke, and an MRI is ordered to confirm the diagnosis. MRI comes back negative as well, and the patient is put on a blood-thinning medication and a different doctor assumes her care. A week later, while still in the hospital, the patient suffers a massive intracranial hemorrhage which isn’t discovered until a day later. Patient subsequently slips into a coma that lasts over six weeks. Patient is transferred to the shock trauma unit of a different hospital and ultimately passes away in December 2006 as a result of complications from the coma. The daughter of the decedent hires an attorney to bring a claim against the hospitalist who evaluated her mother and the hospital where her mother suffered the hemorrhage. 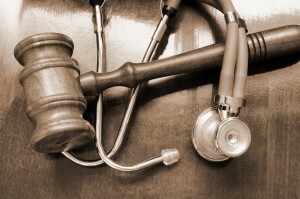 On August 12, 2009, the attorney files a claim with the Maryland Health Care Alternative Dispute Resolution Office (“HCADRO”) alleging that the hospitalist and hospital breached the standard of care by (1) administering an incorrect dose of blood-thinning medication and (2) failing to diagnose the stroke and intracranial bleeding. In October of 2009, the attorney files a certificate of merit with HCADRO and requests a waiver of arbitration. The case is then transferred to circuit court on May 7, 2010. Let’s pause and look at this: I think there’s a strong claim for medical malpractice here. Granted, I haven’t looked at the medical records, and I don’t know the patient’s history, but it’s a case that I probably would have at least investigated. In any event, the case is filed on the last possible day before the SOL runs. Not to be too harsh on the attorney who handled this case (maybe it came to him/her the day before the statute ran), but Rule Number One: DO NOT WAIT UNTIL THE LAST POSSIBLE DAY TO FILE A MED MAL CASE! And if you don’t have a choice, you had better make absolutely sure you’ve followed every little, teeny-weeny procedural rule/requirement. So, back to the case: after a few months, the doctor and the hospital both move to dismiss on the grounds that the plaintiff filed a deficient certificate of qualified expert and report, because the expert certificate didn’t identify with specificity the licensed professional(s) who breached the standard of care (yes, that’s a specific and vital statutory requirement). The doctor also argues that the plaintiff’s expert, a neurologist, was not qualified to offer standard of care opinions as to a hospitalist (and the doctor is right; that’s another requirement). The court ends up denying the doctor’s motion, but the claim against the hospital is dismissed without prejudice. Plaintiff files another complaint against the hospital, apparently after having cured the expert report/certificate, and several months later, the court joins the two claims. As you might have guessed, the hospital moves for summary judgment not long after, arguing that the statute of limitations has already run, and furthermore, that plaintiff failed to begin her case anew in the HCADRO, as required by statute. Plaintiff argues that the new complaint “relates back,” like an amended complaint, but the court doesn’t buy it. A claim that is dismissed, even one without prejudice, is a claim that is terminated and no longer exists. So, motion granted, appealed, and boom: Court of Appeals. 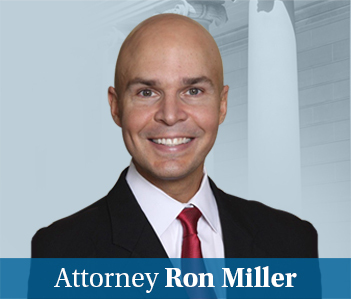 As for the opinion, it’s a well-written and concise explanation of some of the medical malpractice laws in Maryland (if you’re new to med mal, read up, because you need to know the cases cited by the COA like the back of your hand). The Court addresses several questions, but the ultimate question is this: does dismissal of a claim without prejudice for failure to file a certificate that properly identify the providers who breached the standard of care requires a party to begin again in the HCADRO or does the law permit them to correct the insufficiencies and file in circuit court gain? Answer/Moral of the Story: HCADRO always, always wins. I could go into all of the different statutes the court addresses, as well as all the plain language analysis of the statutes the parties cite to, but the fact of the matter is that Maryland has the HCADRO to weed out “questionable” lawsuits. Yeah, there are a lot of hoops to jump through, and yes there are some requirements that seem redundant, but the fact of the matter is that if you don’t abide by the “rules,” you can forget about even getting a chance to play the game.